Despite the rapid evolution of Web technologies and development tools and skills, most Web sites fail (to varying degrees) to achieve their true business goals. This is at least partially due to our inability to effectively define Web acceptance criteria (from both a client perspective and a developers perspective). These criteria cover those characteristics that the final system must possess, and against which the development can be carried out. Examples include broad business objectives, and detailed content and functional descriptions, but also navigability, user engagement, site evolvability, and especially site maintenance. 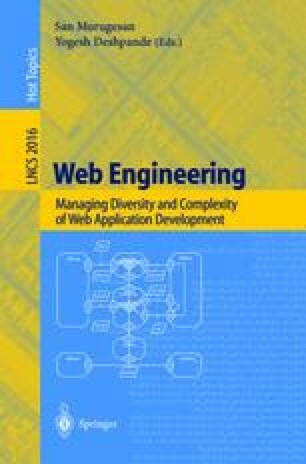 In this paper we consider the need for an improved ability to define acceptance criteria for Websites as a target for the design and maintenance process. We describe a framework that includes dimensions covering both product criteria and organisational elements. We also discuss how the various dimensions within this framework can be represented using various existing techniques.